So, I suppose I should chime in with an aKademy post too. 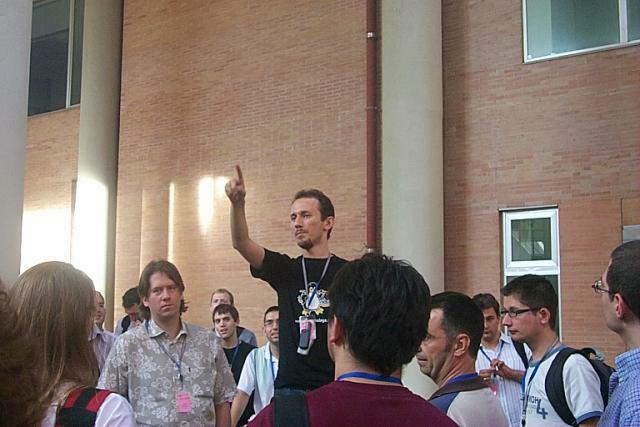 I did two presentations there -- the latter with Christian from GStreamer / Fluendo. Ok, so Qt 4's listview / table / iconview / listbox replacement is called "Interview" collectively. I started playing around with it last weekend and well, there's some good and some bad. The good is that at least from an initial take on things the performance seems much better. This could just be the double buffering tricking me and making it look smooth since I haven't actually done any really intensive tests on it, but it certainly feels more responsive. Read more about Qt 4 - "Interview"
Well, there are a number of new recent things in the JuK world. A couple weeks ago I finished a major rewrite of a lot of the internal components that's made a lot of things easier, plus it makes working with the code a lot more sane. I completely refactored some of the older classes, moved more towards some stripped down interfaces for use in internal APIs and other goodness. Ok, I got tired of the old file-name based background image selection, so I hacked up something to use the (first line of) comment in the JPEG meta data. Nothing too exciting, but now the selection looks a bit nicer. Brace yourself; I've gotten a little too close to doing graphics work for public safety. Read more about Brace yourself; I've gotten a little too close to doing graphics work for public safety. So, the week or two I've had a little fun hacking up a Icecream Monitor mode that's more like the Teambuilder monitor. Teambuilder was always cool conceptually, but in practice never really worked all that well for me. Icecream actually works but I wasn't terribly fond of the monitor a few weeks back. The only two options were the listview mode -- which just listed the jobs as they happened without any nice visual indicators -- and the Gantt View mode, which takes about 50% of my CPU just for painting. So, the above is what I've gradually hacked up. Apparently including the number of bugfixes. :-) Matt and I -- being the two resident (and fairly active) Texans in the KDE project had a bit of fun going back and forth on the top spot for bug fixes this last weekend. He's currently ahead by two, but more of mine were from actual commits, so I think those should count double. TagLib - I'll probably be doing a new release soon. There have been a couple of new features, so I'm debating between the version number 1.1 and 1.0.1. I've been generally very happy with the reception that TagLib has gotten -- I get quite a few mails from developers thanking them for freeing them from id3lib.